San Juan, TX, has a lot of area entertainment and restaurants for you to enjoy. Whether you are checking out the World’s Largest Killer Bee or sightseeing at the Santa Ana National Wildlife Refuge, a toothache is a problem you may not want to deal with but it is vital that you. Seeking emergency treatment rapidly can prevent further complications from arising. San Juan has many good dentists available to help during your dental emergency. 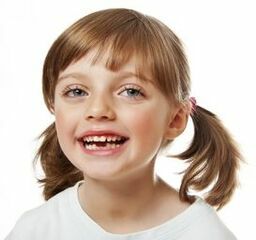 Turn to emergencydentistsusa.com to help you find a dentist in San Juan, Texas. We have worked to put a list of local dentists and dental specialists together to present to you during your dental emergency. You simply need to go over the list, choose a dentists, and give them a call. If you want more help or are just in a hurry, call our toll-free dentists finder hotline today. Our team members are there to help you to identify the dentist or specialist you need. They are trained to listen to you and help you find the dentist near you. Just let them know which dentist you wish to visit, and we will schedule your first appointment for you. When you are getting ready for your appointment, plan to arrive 15 minutes early with your ID, insurance card, and payment method with you. It is also good to have a lists of your current medications and allergies with you. If you are visiting San Juan, you might be concerned that your options are limited in finding a dentist. This is not the case. San Juan has many dentists and specialists such as oral surgeons, pediatric specialists, cosmetic specialists, and more. Please consult with your general dentist before trying to see a dental specialist. They can bests determine if you need a specialist and will refer you to one if you do. Description: Little Heroes Pediatric Dentistry has a mission to serve families by improving their children’s oral health. They are a pediatric dentist who offer routine dental care for children 6 months to 21 years. They offer a variety of services such as cleaning, fillings, extractions, and more. Doctors: Dr. Melissa Rivera, D.D.S. Description: Melissa Rivera, D.D.S. provides excellent dental services. She provides many services in here office such as oral surgery, periodontics, pedodontics, prosthodontics, and more. Most major credit cards are accepted. Financing is available through CareCredit. Description: Agua Dental serves children, adults, and families in San Juan. They work to provide friendly care and provide high quality services. They offer a wide array of services such as fillings, extractions, cleanings, and much more. They accept most forms of payments and offer financing. A toothache can come on fast and is the first sign you have a problem. Seek immediate attention should that pain last longer than an hour or more. Doing so could prevent further complications from happening. If an accident is the cause of the pain, go to the nearest emergency room to rule out any other injuries. When visiting a new dentist, check out their license and credentials to determine if they are active. This is done quickly and easily by visiting the Texas Dental Association website and performing a search of the dentist’s name. If you prefer, you can also get this information from the receptionist at your first appointment.